Rotson Nest 2 is a residential project developed by Rotson Group. The project offers very well designed residential 2BHK apartments. The project is well connected by various modes of transportation. The site is in close proximity to various civic utilities. What is the project location?The project is located at Bhavani Nagar, Hubli. What apartment sizes are available in Rotson Nest 2? The project offers apartments sized between 840.0 sqft and 850.0 sqft. 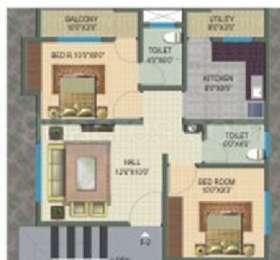 What is size of 2 bhk in Rotson Nest 2? 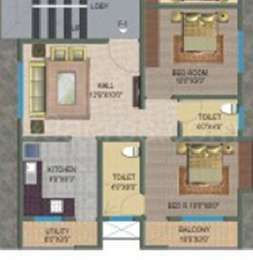 The area of 2 BHK apartments ranges from 840.0 sqft to 850.0 sqft. How many units are there in Rotson Nest 2?The project offers a total of 7 units. Does Rotson Nest 2 have lawn tennis? The project doesn't have lawn tennis. Does Rotson Nest 2 have car parking? Car parking is available in the project.